Cleopatra VII Philopator (69 BC – August 12, 30 BC) was an Egyptian Queen and the last pharaoh of Ancient Egypt. Cleopatra was a member of the Greek-speaking, Ptolemaic dynasty, who ruled Egypt from 300BC to 30 BC. Deposed from power by her brother, Cleopatra aligned herself with Julius Caesar to regain the throne. After Caesar’s murder, she became the lover to Mark Anthony. 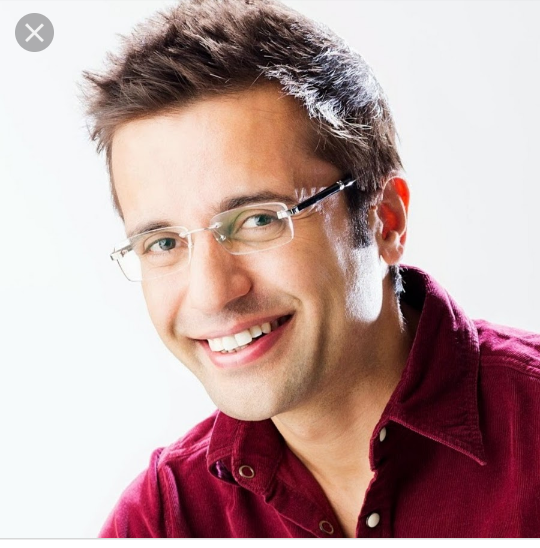 But, after Mark Anthony had been defeated by the forces of Octavian in the Roman Civil War, Anthony and Cleopatra committed suicide, rather than fall into the hands of Octavius. Her death marked the end of the Ptolemaic Kingdom of Egypt – and Egypt became absorbed into the Roman Empire. Cleopatra was born around 69 BC. Her father Ptolemy XII died (in 51 BC) when she was 18, leaving Cleopatra and her brother Ptolemy XIII as co-regents. As was the custom of the time, Cleopatra married her brother, and together they ruled Egypt. However, Ptolemy soon had Cleopatra exiled, leaving him in sole charge. In 48 BC, the Roman Empire was embroiled in a civil war between Julius Caesar and Pompey. When Pompey fled to Alexandria, the capital of Egypt, he was murdered on the orders of Ptolemy. Ptolemy had hoped to curry favour with Caesar, but when Ceasar arrived in Alexandria, he was enraged at the murder of a Roman consul by a foreign subject. Taking advantage of Ceasar’s displeasure with Ptolemy, Cleopatra sneaked into Ceasar’s rooms and successfully endeared herself to Julius Ceasar. With Caesar’s military strength and support siding with Cleopatra, her brother Ptolemy was overthrown and killed. It enabled Cleopatra to be reinstalled as Queen. In 47BC, Cleopatra gave birth to Caesarion, which means “little Caesar.” though Caesar never publicly declared him to be his son. For a time Cleopatra’s reign brought relative stability to the region, bringing a degree of peace and prosperity to a country bankrupt by civil war. Although she was brought up to speak Greek like her family, she also made an effort to learn Egyptian and later only spoke only in the native tongue of her subjects. In 44BC, Julius Caesar was assassinated and this led to a growing power struggle between Mark Anthony and Caesar’s adopted son Octavian. 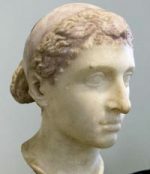 Despite being married to Octavian’s sister (Octavia), Mark Anthony began a relationship with Cleopatra. Together Cleopatra and Mark Anthony had three children. In his pursuit of power, Octavian claimed that Mark Anthony would give away Rome to this Egyptian Queen, who seemed to have Mark Anthony under her spell. It was also seen as a family insult that Mark Anthony was married to his sister but, at the same time, having an affair with Cleopatra. The antagonism between Mark Anthony and Octavius grew into civil war, and in 31BC, Cleopatra joined her Egyptian forces with the Roman forces of Mark Anthony and fought Octavian’s forces on the west coast of Greece. Cleopatra and Mark Anthony were decisively beaten in battle and scarcely escaped back to Egypt. However, Octavian’s forces pursued the couple and captured Alexandria in 30BC. With no chance of escape, Mark Anthony and Cleopatra both took their own lives, committing suicide on 12 August 30BC. In one account of her death, Cleopatra committed suicide by persuading a cobra to bite her on the breast. Octavian later had their son Caesarion strangled, ending the Cleopatra dynasty. Egypt became a province of the Roman Empire, and Cleopatra proved to be the last of the Egyptian Pharaohs. Cleopatra has been immortalised by William Shakespeare’splay ‘Antony and Cleopatra’, Jules Massenet’s opera Cléopâtre and the 1963 film Cleopatra (starring Elizabeth Taylor). She was a member of the Ptolemaic dynasty, a family of Greek origin that ruled Egypt after Alexander the Great’s death during the Hellenistic period. The Ptolemies, throughout their dynasty, spoke Greek and refused to speak Egyptian, which is the reason that Greek, as well as Egyptian languages, were used on official court documents such as the Rosetta Stone. 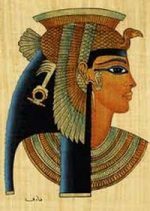 By contrast, Cleopatra did learn to speak Egyptian and represented herself as the reincarnation of an Egyptian goddess, Isis.